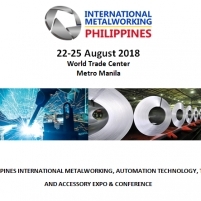 INTERNATIONAL METALWORKING PHILIPPINES 2018 IS AN AUTOMATION TECHNOLOGY, TOOL AND ACCESSORY EXPO & CONFERENCE We will showcase our PMI Portable Master Smart Spectrometer : PMI-MASTER Smart is a breakthrough for optical emission spectroscopy (OES) analysis in hard to reach places. It’s the only truly portable high performance OES analyser on the market. Weighing just 15 kg / 33 lbs the spectrometer can be easily carried to the point of analysis. This robust spectrometer is designed for the precise analysis of key elements, rapid material verification, PMI and metal sorting. Despite its light weight and compact size the PMI-MASTER Smart offers high analytical performance, unparalleled portability, convenience and ease of use.